Legal capacity is the fundamental prerequisite to realizing all other rights, and deprivation of legal capacity carries with itself enormous consequences to the everyday life and freedom of persons with disabilities. Deprivation of legal capacity practically leads to “civil death”, and deprives basic human rights to a person, thus endangering his/her autonomy. Complete deprivation of legal capacity fully excludes any possibility for decision making and enjoying of someone’s rights. 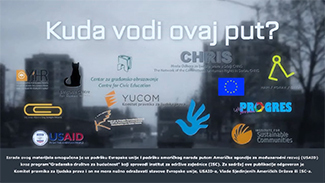 Developed, democratic countries, where media freedom exists, don’t have media strategies. 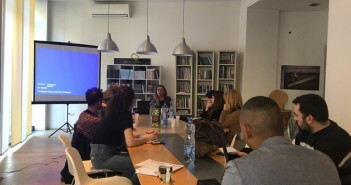 The fact that there are problems in Serbia today when it comes to introducing the Media strategy also speaks to the fact that a big change is necessary, the President of the Lawyers’ Committee for Human Rights, Katarina Golubovic, pointed out. 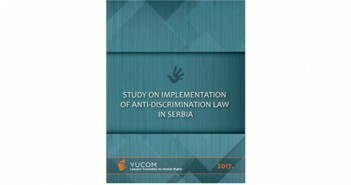 As of adoption of the Constitution of the Republic of Serbia in 2006 and adoption of the new Law on the Prohibition of Discrimination of 2009, there seems to have been numerous texts and publications about the principle of equality and prohibition of discrimination. 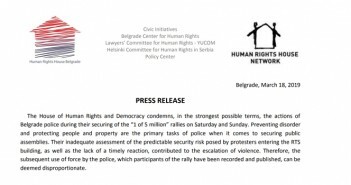 The institution of the Commissioner for the Protection of Equality has been established and it decides on the complaints of the citizens every day, leads strategic litigations and submits annual reports to the National Assembly of the Republic of Serbia and the public. Writing an editorial for YUCOM’s Annual Report has just become my delightful habit, and I already need to hand it over. 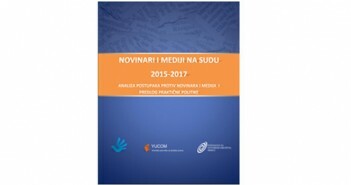 From the first Annual Report that we had presented in 2013, our report has been the reason to line up, to gather at the end of the year and create topics overview that preoccupied us, as well as a list of the activities we performed. 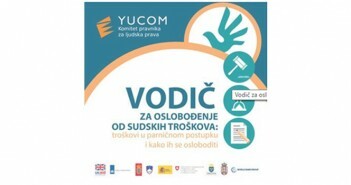 On February 18, 2019, with the support of the Embassy of Canada in Belgrade, the Lawyers’ Committee for Human Rights – YUCOM organized a lecture on gender-based and domestic violence, sexual abuse and human trafficking. The lecture was delivered by Dr. Maryanne Pearce, Strategic Advisor to the Assistant Commissioner, Reconciliation and MMIWG Inquiry Royal Canadian Mounted Police – department that deals with the investigation of missing and killed indigenous women. 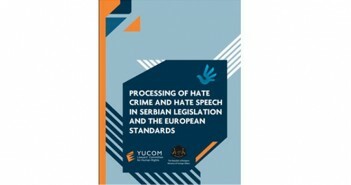 The aim of this publication is, first of all, to provide insight into some of the existing solutions to the problem of hate crimes and hate speech in European Union law, as well as in the practice of the European Court of Human Rights. 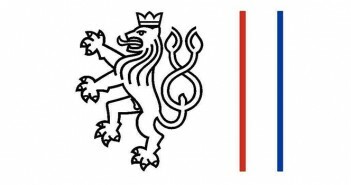 Study on the implementation of the Law on the prohibition of discrimination in Serbia, published by the Lawyers’ Committee for Human Rights, was made by Mario Reljanovic, professor at the Law Faculty of the Union University, with the support of the UN Human Rights Team. In cooperation with the Lawyers’ Committee for Human Rights, the MDTF-JSS has prepared a Guide for exemption from court fees: fees in civil proceedings and how to get rid of them.